Продаем д2 объем 1 млн.т. под покупателя будет идти по квоте. 1. After signing of the contract within two days Buyer will issue to the Seller Stand By Letter of Credit for the sum equal to the cost of 2 (two) monthly parties of the goods and validity for 395 days. 2. Seller, within 10 (ten) working days after receipt and verification of the Stand By Letter of Credit will provide to the Buyer the «Proof of Product» and issue a 2% Performance Bond of the cost of one month party supply. 4. 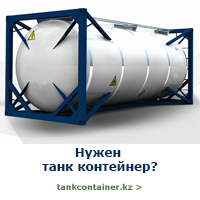 Payment for the each tanker party of the goods have to be made by the Buyer by direct transfer of the funds (T/T) on the account indicated by Seller within 7 (seven) banking days after receiving of the full set of shipping documents for each delivered party in Buyer’s bank.